The important contribution of our method is that it avoids known biases in current methods such as homophily bias. Homophily means that we tend to make friends with people like ourselves. 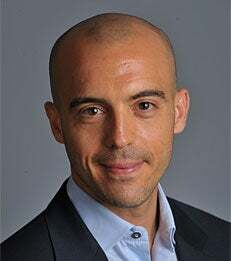 In a new paper, published today in Science, Sinan Aral, NYU Stern Assistant Professor of Information, Operations and Management Sciences, and his co-author Dylan Walker, a research scientist at Stern, present a new method to measure influence and susceptibility in social networks. Today, finding influentials is all the rage. Companies such as Klout are trying to measure “influence scores” for people in social media networks like Facebook and Twitter, and brands are using this information to target them with advertising. Beyond marketers, parents are interested in whether their children’s peers influence education outcomes; managers are interested in whether workers’ colleagues influence their productivity; and policymakers are interested in whether happiness, obesity and smoking are contagious, and if risky behaviors, such as drug abuse, spread as a result of peer-to-peer influence. Professor Aral's research focuses on social contagion and measuring and managing how information diffusion in massive social networks affects information worker productivity, consumer demand and viral marketing. He also studies the role of information and information technology in the productivity and performance of firms. To read the full paper, visit the Science website. To arrange an interview with Professor Aral, contact Rika Nazem, rnazem@stern.nyu.edu, 212-998-0678, or Professor Aral, sinan@stern.nyu.edu, 212-998-0369, mobile: 617-233-6707; Twitter: @sinanaral.